Giuseppe Fanara first appears in at Painesville, Lake County, Ohio, between 1912 and 1917. In America, Giuseppe Fanara was known Joseph Pepino Fanar. Giuseppe Fanara was born on Friday, March 19, 1886, at Monreale, Sicily. Giuseppe Fanara, age 26, immigrated to the United States on March 28, 1912. His destination was Ohio. 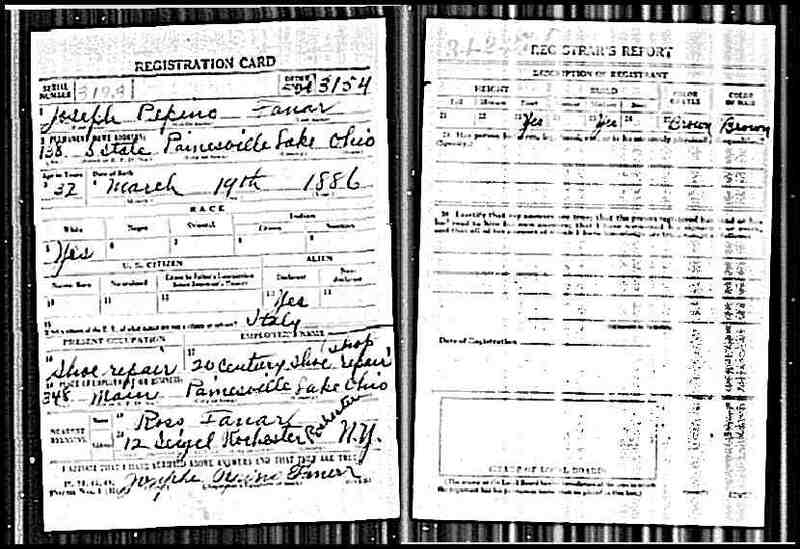 Giuseppe Fanara registered for the World War I Draft on September 12, 1918. He was living at 138 South State Street, Painesville, Lake County, Ohio. Mr. Fanara was a shoe repairman.